All employees are expected to be at work regularly without missing too many days on the job. Most likely, you have an allowance of at least a few days you can miss in case of illness. 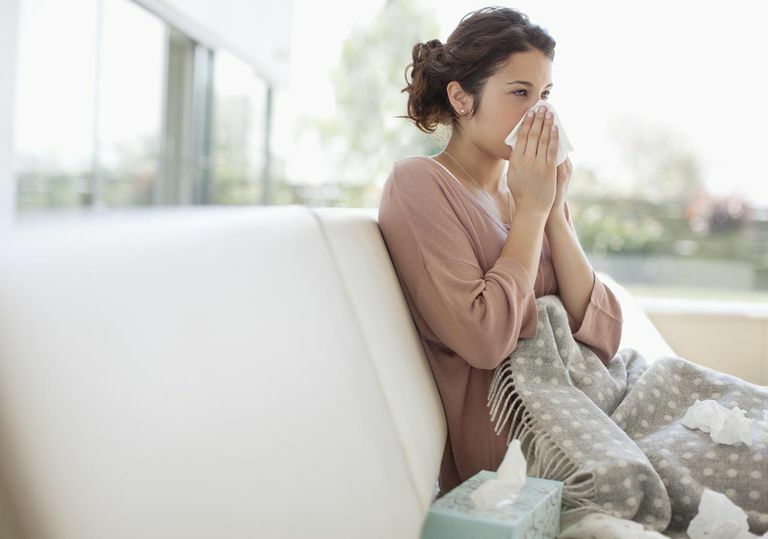 Depending on your professional level, you may or may not get paid sick leave, so weigh options and consequences carefully. As a healthcare worker, especially if you work in a clinical role, you have a responsibility to be there for your patients. However, you also have a responsibility to protect your patients' health and not put them at risk to catch what you have, if you are contagious. Even if you are not contagious, if you are groggy from medication, or if your judgment is impaired in any way, you may be more prone to making an error that could also potentially endanger your patients. Am I too sick to do my job effectively? Do I have sick time available to me? How will my supervisor react? How will this affect my career here? If after considering the above questions, most answers point you towards calling in sick, then you should do so after you have carefully considered the consequences to you and others. Whatever you do, be sure you do inform your direct supervisor in some way, and in a timely, respectful manner. "Hospitals and other healthcare organizations are often already understaffed, so an unexpected absence can cause serious challenges," said Rob Morris, product director at MiracleWorkers.com. "If you need time off, it's important to inform your manager, so they can plan for your absence. While the unexpected can happen, you want to make sure you don't hurt your credibility with the organization." What excuses should you NOT use when calling in sick? Anything that is a lie. Additionally, giving too much information or detail can also be bad. If the circumstances really are unusual, then you may sound like you're making up a story. Employee's 12-year-old daughter stole their car and they had no other way to work. Employee didn't want to report it to the police. Employee's child stuck a mint up his nose and had to go to the ER to remove it. Employee's brother-in-law was kidnapped by a drug cartel while in Mexico.